So you are thinking about surgery? There are probably a lot of questions on your mind and concerns that you want addressed. Whether you think surgery is your only option or someone has told you that it's your only option, it's a decision not to be made lightly. We will discuss some surgery basics here to help guide you through your decision, addressing some common concerns among people who are considering foot surgery. The first question with surgery should always be: Am I ready for surgery? You may be ready to be rid of that bunion, but it is vitally important to trial conservative treatments before considering surgery. In instances where a deformity in the foot is cosmetically bothersome, but not painful, surgery is not recommended - with few exceptions. Surgery causes pain in the short term and pain can last months after surgery in some cases and overcoming painful surgery when you had no pain in the first place can be even more agonizing. Not only should you be experiencing pain, but the pain you have should be inhibiting your daily routine and normal actives on a routine basis - this is how you know if you are ready for surgery. Another concern you probably have is pain from surgery. Everyone's pain level is different and people respond differently to medications for pain. The extent of surgery you may face also plays a part in how much pain there is after surgery. Most elective procedures performed on the feet (elective meaning that surgery is not required for your survival) are performed under intravenous sedation. This means that you are breathing on your own but in a deep sleep during the procedure. Instances where general anesthesia is advised include correcting fractures, tendon repairs and more extensive foot reconstruction. Whether under sedation or undergoing general anesthesia, patients generally do not recall the surgery or even the anesthetic injection. The numbing medication given before you awake from your surgery can provide pain relief (in the form of numbness) for anywhere from 1 hour to 10 hours. Pain management is threefold: 1. Icing and elevating the foot at all times possible reduces swelling after surgery which decreases the pressure on the nerves in the feet and therefore reduces pain; 2. Following your doctors orders after surgery regarding activity minimizes swelling as well and protects the surgical area; and 3. Post-operative pain medication, which some people use for 2 days and others for a full 2 weeks. Following orders on dosing the pain medication helps to stay ahead of the pain cycle, making your post-operative experience better. Another concern sometimes expressed is whether surgery can make your condition worse. Living in an imperfect world, this is unfortunately a risk that you take with surgery. Your physicians are devoted to improving your condition and quality of life and in nearly all instances (when the decision for surgery is made for the right reasons) they succeed. If any surgeon or physician promises you optimal results, no pain and guarantees an outcome you may want a second opinion. It is our responsibility as doctors to be sure that you are fully informed of possible outcomes of surgery in order to make an educated decision. Another question we often face is, 'how long until I'm back to normal?' Depending on your condition and medical history, we can estimate the time you will need to recover from surgery. The time it takes to feel normal again after surgery is different for everyone. One person's 'normal' could be running marathons twice a year, while another person's 'normal' is being able to get up and down stairs without pain or instability to do laundry every week. Some people have surgery and expect to feel like they never had a problem with their foot in the past and this isn't always the case. Our goal is to minimize your pain and help you get back to the things you love to do. The best thing you can do for yourself when planning for foot surgery is to ask any and all questions you have before you set the date. Make sure you are as prepared as you can be for what is to come after. Also, take the recommendations of your physician seriously. 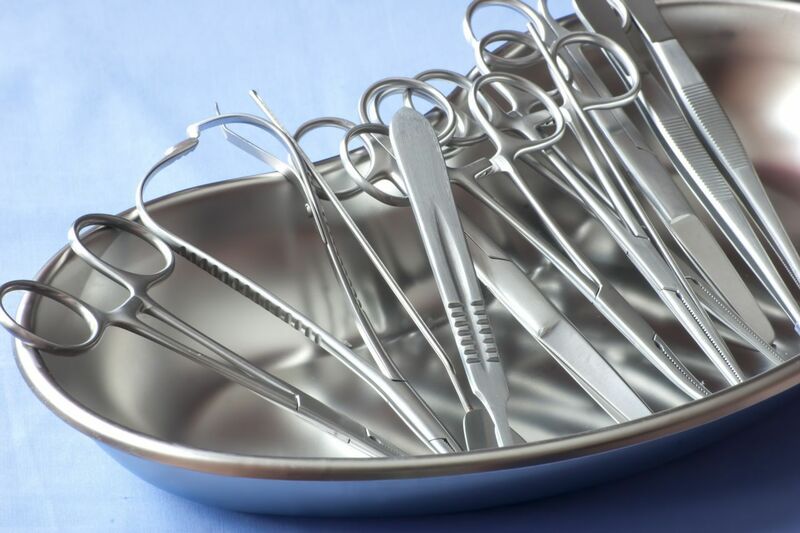 Adhering to instructions after surgery is equally important to how the surgery is performed. A great surgery can go bad if you don't follow the recommendations from your surgeon. If surgery has been recommended to you and you have concerns and want another opinion, feel free to schedule an appointment with one of our doctors. We will give you our honest professional opinion and ensure that all other options have been explored.